"It's a matter of equity, fairness and the fact that we have the money to pay the taxes and we're not being asked to pay them," Stewart, a former real estate executive, told NBC News. "My sense is we are really at a cusp. We better get our act together 'cause ... the lack of fairness and opportunity is growing." "We see how the system is skewed in our favor, and how that's really hurting our country, and in the very long run, hurting us, too," Morris Pearl, Patriotic Millionaires chairman and a former BlackRock managing director, said last week at a gathering for the group in Washington, D.C.
For Pearl, it's about his kids and grandkids being able to "grow up in the same kind of country where I grew up, to have the opportunities I did. And ... (they) are not gonna have the same opportunities I had if we continue the direction we're going." Others in the field, like former Texas Rep. Beto O'Rourke, support a wealth tax but have not released specific plans. And Vermont independent Sen. Bernie Sanders has proposed hiking the estate tax, something he estimates would hit the small fraction of Americans who inherit more than $3.5 million. In fact, 63 percent of voters think higher-income people pay too little in taxes, according to a Politico-Morning Consult online poll. 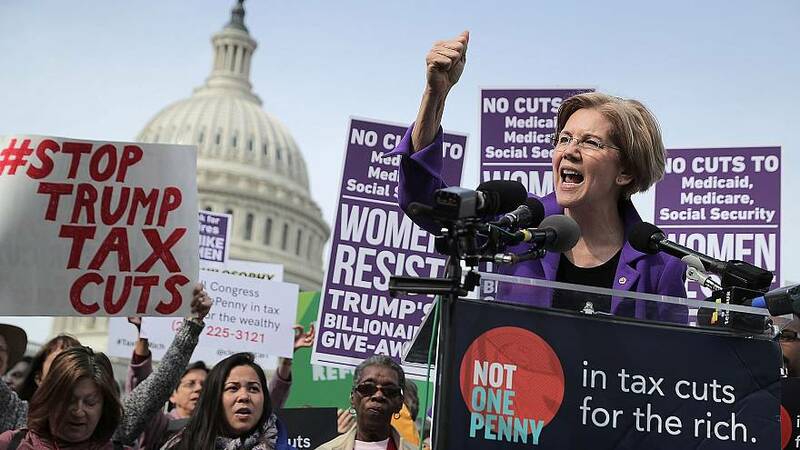 And Warren's plan plays well across party lines — with 74 percent of Democrats backing her proposal, and half of Republicans, in that same poll. The millionaires aren't backing any specific candidate — though they say Warren is righton taxing wealth. They just want action.